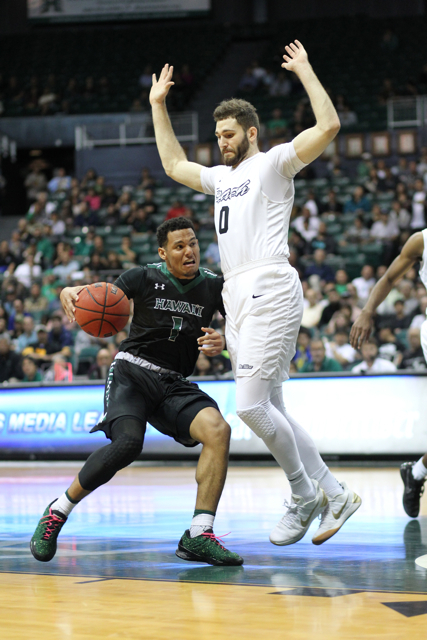 Unlike last month, there was no “Superhero Night” at the Stan Sheriff Center on Thursday, which is totally fine with the University of Hawai’i men’s basketball team and it’s fans. They were more than happy with having Zigmars Raimo, a rather unassuming quiet-but-effective sophomore reserve from Madona, Latvia. 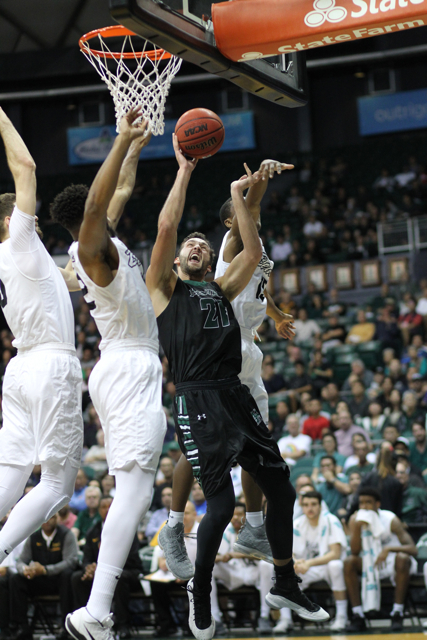 Raimo scored a career-high 17 points and grabbed four rebounds in 22 minutes off the bench and Gibson Johnson added 13 points and five boards to help the Warriors speed past visiting Long Beach State, 74-63, in Big West Conference men’s basketball action. A Stan Sheriff Center crowd of 5,409 (tickets issued) watched Drew Buggs contribute 10 points and eight rebounds and Brocke Stepteau add 10 points and six boards as UH improved to 16-10 overall and 7-6 in the Big West with their third straight victory. The 49ers, who defeated the Warriors, 89-81, at Long Beach on Jan. 4, fell to 13-16, 7-6. 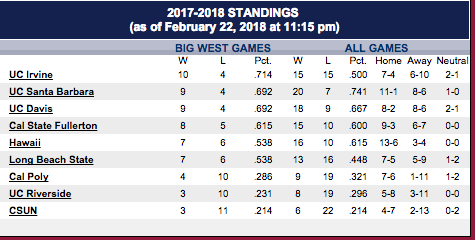 The teams are tied for fifth place in the Big West, but the Warriors currently hold the tie-break advantage over the 49ers. 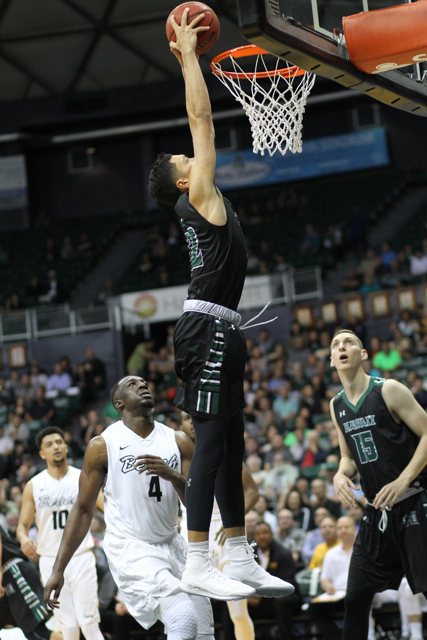 The Hawai’i win was even more impressive considering it came without the services of senior post Mike Thomas, the Warriors’ leading scorer and rebounder who sat out his second straight game while recovering from an undisclosed injury. Enter Raimo, a sturdy 6-foot-7, 235-pound post who offers nothing too fancy but somehow finds a way to get the job done. 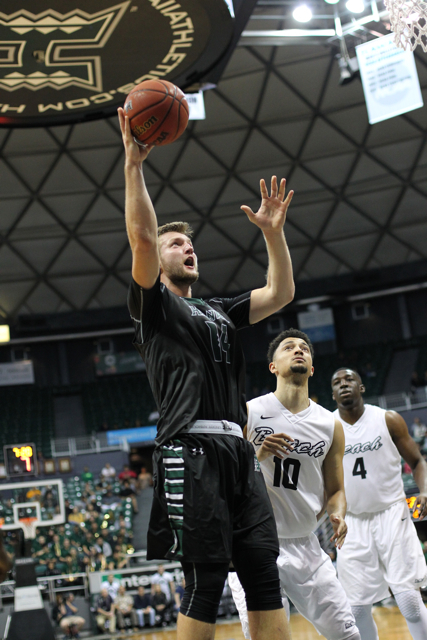 “I’m so proud of him, he’s such a testament to attitude,” UH coach Eran Ganot said. “He hung in there, young players should watch him and people should learn from him, because his attitude never wavered when he wasn’t playing as much. He continued to work in practice, he continued to support his team, and as you know in this program — that earns you (an opportunity) to get in games. And then he’s been slowly performing more and more in games … it’s been coming. You can tell how happy and proud our guys are for him. Gabe Levin scored all of the 49ers’ early points as they took an 8-4 lead, but Stepteau then sparked a 9-0 run with a layup and the Warriors never trailed again. Long Beach State closed it to 17-15 on Barry Ogalue’s jumper midway through the first half, but Hawai’i held onto the lead and extended it to 34-25 by halftime thanks to 53 percent (16 of 30) shooting from the field and control of the backboards (21 rebounds, compared to 14 for the 49ers). Long Beach State shot only 30 percent (9 of 30) from the field in the first half, after torching the Warriors’ defense at a 61 percent clip in its Jan. 4 victory. One area of concern, however, was Levin. The versatile 6-7, 230-pound senior forward had 14 points and four rebounds in the first 20 minutes, but was not as productive (only four points) after the break. The 49ers closed it to 46-42 after Ogalue’s two free throws capped a 10-3 run with 10:25 remaining, but UH answered with six straight points to push the lead to 52-42 and Long Beach State could not get closer than eight points the rest of the way. At the forefront was Raimo, who scored 13 points in the second half on 3 for 4 shooting inside the paint along with five of six free throws. Raimo said he was just part of the effort to make up for Thomas’ absence. Buggs echoed Ganot’s appreciation for Raimo. Ganot said Thomas is expected to practice Friday and is hopeful to play in Saturday’s Senior Night home finale vs. UC Irvine. UCI moved into first place on Thursday following a 69-49 home victory over UC Santa Barbara. The Warriors upset the Anteaters, 62-61, last week at Irvine, Calif.
BigWest…parity, no top 65 rpi teams I guess. 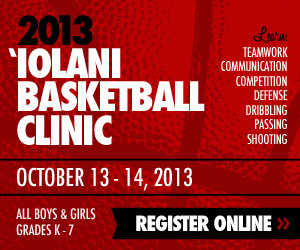 Funny UH Could finish 10-6 .. possibly tied for first or second, depend how 4 teams above them finish. This year: ALL or nothing for post season..win BWC tourney NCAA..bid.. Waste of money for CBI or CIT or other pay for play.. reason? the in house attendance and tickets purchased.. really not that great. Happy to Know Zach Buscher, will grad this year ! He, Brocke.. who knows will Brocke grad too? they are finishing their Fourth year at UH… and Mike I hope will grad in May too. Thanks to Mike, Gibson, and Zach ! That was fun to watch! Great win against a tough team! We look poised for saturday. Zigmars! Who knew he had this kind of game inside of him? When I heard Mike T was out, I thought this might be a blowout loss. But no! This was a huge win to move up the standings and Zigmars was MVP. This game could be the turning point on the way to NCAAs. As I said earlier in the season, the Big West is really down this year and this Hawaii team can beat every team on the list. I guarantee Bryan Alberts wshed he picked UH over LBSU. Sure glad he didn’t come to UH. There were a few plays where he was just shutdown by our guys.